On May 19, Mexican rock legends El Tri brought a piece of Chilangolandia to The Palace in Woodbridge, VA for a night that I can only describe as a complete desmadre, rockero style! Eager fans donning lucha libre masks and Mexican flags gathered with insatiable energy to see the band credited with shaping the Mexican and Latin rock scene. From the second El Tri took to the stage, the party didn’t stop until the end as everyone swayed, danced, moshed and sang themselves hoarse to the band’s repertoire of bluesy rock n roll hits. Frontman Alex Lora, sporting a Venetian mask, expertly got the crowd more and more revved up with each song sharing humorous anecdotes as he sauntered around the stage taking swigs from a bottle of El Tri mezcal. He cracked jokes about Duranguense music and led everyone into a sing along that made fun of the dance moves. El Tri played their classic songs as well as a mix of new ones, including favorites that got the crowd going like “Todo Me Sale Mal” “No Estoy Pedo” “Mente Rockera” and “La Raza Mas Chida.” Fans were jumping and crowd surfing, and of course one of the best parts of a rock show, getting doused with beer showers. 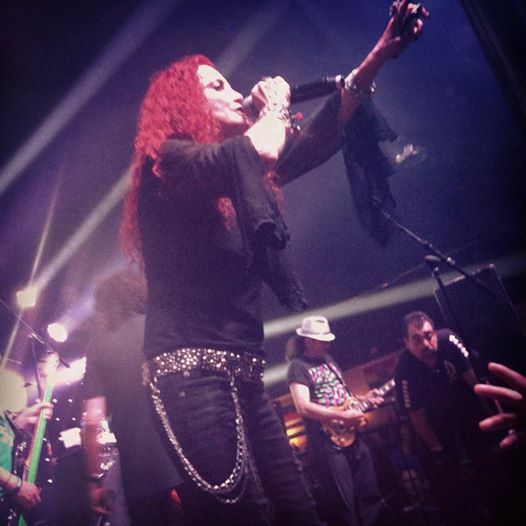 Other favorites included, “Triste Cancion” “Pobre Soñador” and “Cuando Tu no Estas” but the craziness went to another level when Chela Lora ran out and joined the band for “Nostalgia” and the rest of the show. The band’s ability to connect with their fans during the show was really amazing and something not often experienced. 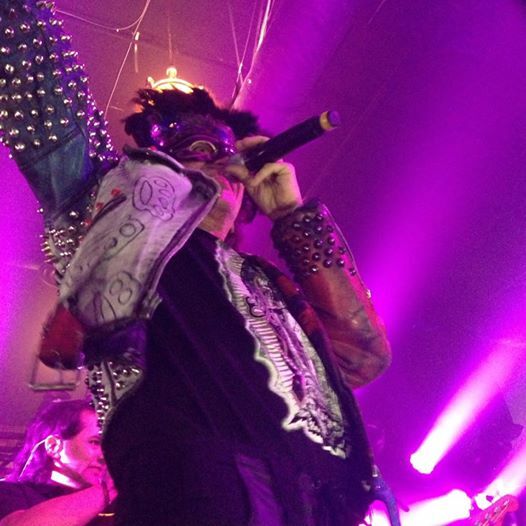 All members were interacting nonstop with the fans- guitarist Oscar Zarate pounded fists with fans many times throughout the show and put on a bandana that was thrown at him, while Alex Lora handed out merch and hugged and kissed fans who climbed up to the barricade. Chela stopped to autograph a jersey thrown on stage, threw autographed soccer balls and took a few selfies on stage with the backdrop of the fans. All in all, this was one of the best rock concerts so far in 2014 and brought us back to what rock is all about- no frills or nonsense, just an honest good time with great music and a crazy party. 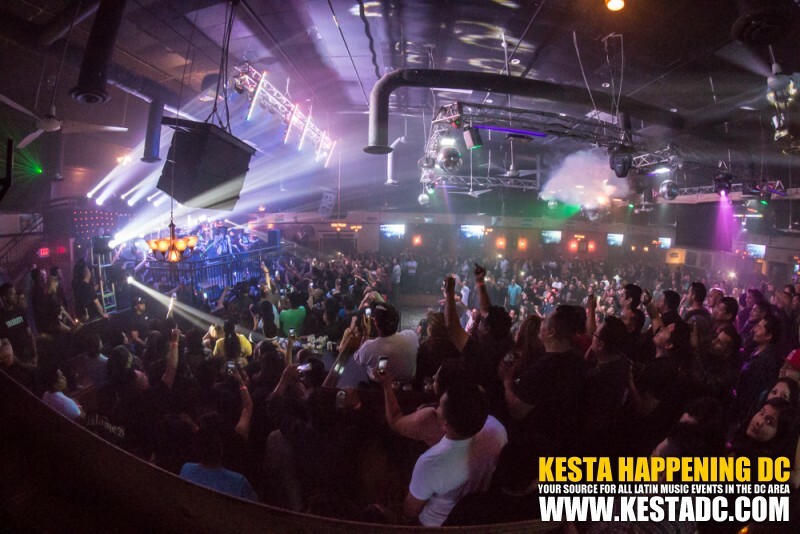 Check out more EPIC Pics of the El Tri concert captured by our Kesta photo team here! 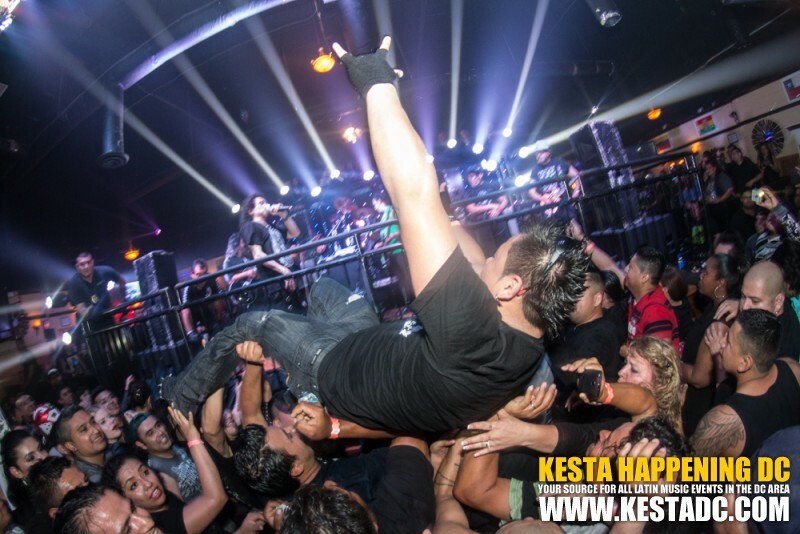 Shout out to this crowd surfer Juan Martinez who Kesta photographer Daniel Martinez captured at the perfect moment with Alex Lora in the background.. this one is one for the books! 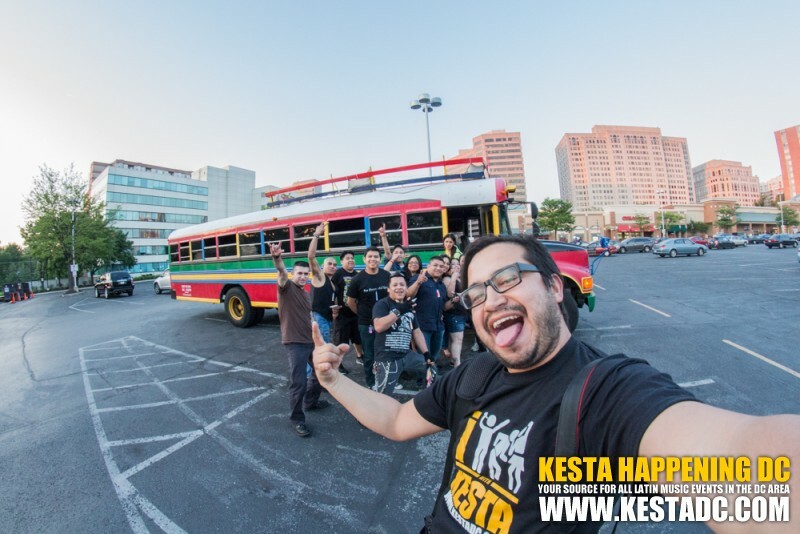 More pics here including of the fun Kesta Party bus!